And so, almost two years ago the mayors of several Polish cities drafted and signed a declaration in favour of accepting immigrants from the Third World1)Deklaracja 12 prezydentów dużych polskich miast: Migrację trzeba wspierać, Polityka 2017-06-30. just about the time when the government did all in its powers not to gave in to the EU’s pressure in this respect. 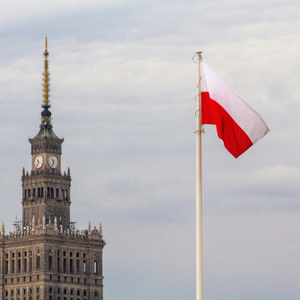 Just who instigated the city mayors to take that step – especially so as they all knew that the majority of Poles was against it – remains a secret. (iv) empowerment of LGTB+ employees and LGTB+(-friendly) entrepreneurs.2)Deklaracja Warszawska, Polityka Miejska Na Rzecz Społeczności LGBT+, Prezydent Miasta Stołecznego Warszawy. The document can also be downloaded from the City of Warsaw website. It is those WHO/UNESCO guidelines – which include explanation and play down of masturbation to 9 year olds (p. 71) among other things3)International technical guidance on sexuality education, An evidence-informed approach, World Health Organization. – that made the Varsovian parents’ hair stand on end and so they are planning on marching in protest on 18th of March.4)Warszawski Protest Rodziców, naszemiasto.pl. The homosexual ideology is slowly taking a grip on Eastern European nations. Its proponents are carefully selected people who – once firmly ensconced in a position of power – begin to apply the new creed step by step. In 2004 two Polish Nobel prize winners – Czesław Miłosz and Wisława Szymborska – publicly stood up for the Cracow gej&les Festival;5)Polscy nobliści popierają festiwal gej&les, queer.pl 2004-04-30. is it a coincidence that Rafał Trzaskowski, Warsaw’s mayor incumbent, was awarded the Legion of Honour for his contribution to the french-polish relationships last year?6)Rafał Trzaskowski i Włodzimierz Puzyna odznaczeni Legią Honorową, dziennik.pl 2017-05-11.